This is a belated post. Please do not get confused with the title that says 'advanced birthday party'. The reason why it was titled as such is because the birthday party was done earlier than her actual birthday. However, this is a belated post. Geddit? Hehe. OK Babycakes' birthday was on the 27th September but we had to have her party way in advance because Babypie's due date was 9th October 2014. If we were to held the party on the 27th itself, it is too near to my due date and we didn't dare take the risk as I may go into labour early or I may be too tired then. Therefore, we held her party on 7th September 2014. It was a small scale celebration and we held it at our humble little abode. 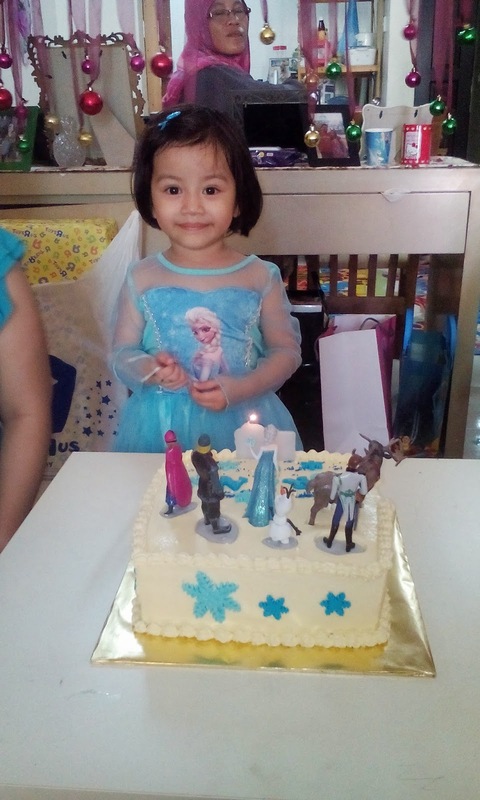 Since she was so into Frozen then (still is), so it is only apt to have a Frozen themed birthday. 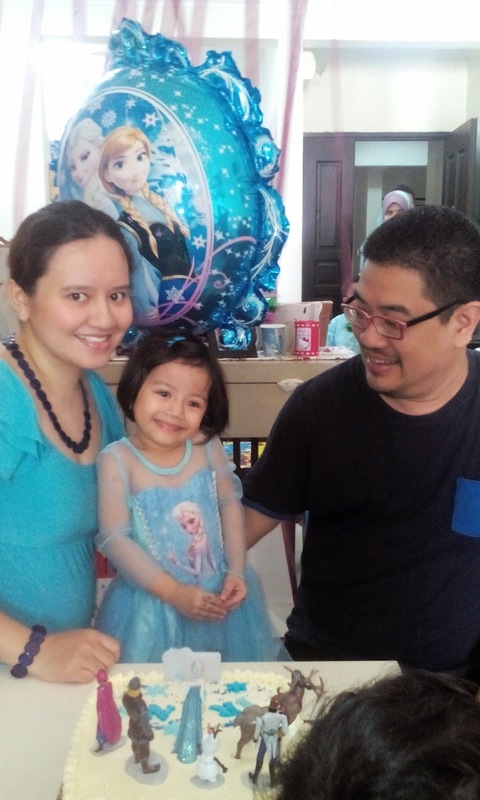 We bought her dress at Kenanga Wholesale City (KWC) because we wanted to find some party supplies too. However, we couldn't find any Frozen party supplies at KWC. I have a turquoise maxi dress which suits the theme perfectly. 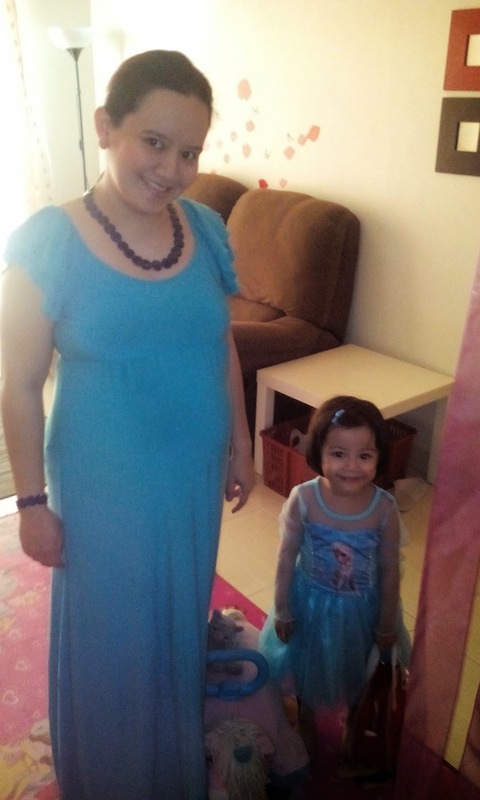 Babycakes was so happy to be wearing matching clothes with Mummy. This picture was taken just before the party started. 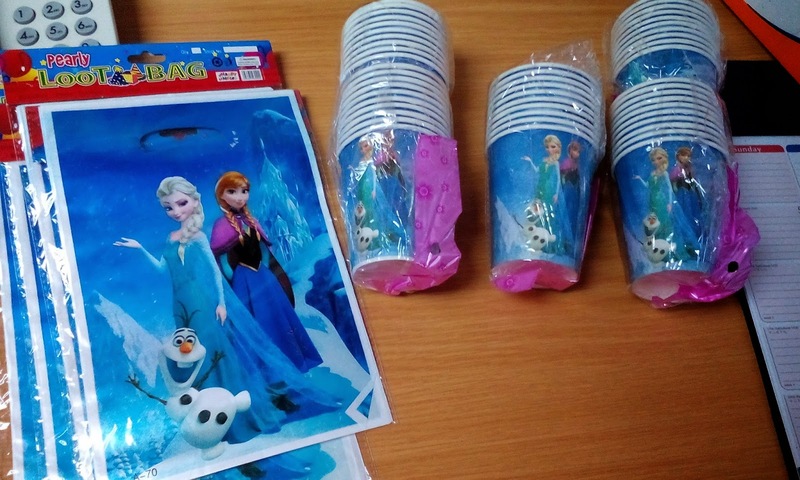 Luckily I found an online seller on mudah.com.my who sells Frozen loot bags and Frozen paper cups. I was thrilled and immediately bought the items. 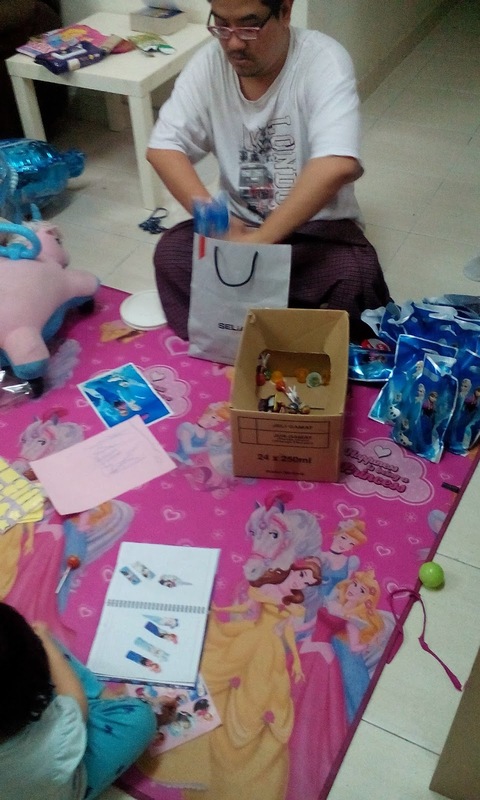 A few days before the party, Hubby filled the loot bags with some chocolates, lollipops, balloons, Frozen stickers and a packet of Milo. Since I still have some leftover angpau from Raya, I put an angpau packet with some money inside the loot bag as well. Seen here Babycakes was already putting good use of the stickers. Good thing that we bought quite a lot. Because the party was small-scaled, we only invited a handful of guests which include close family members and some really close friends. Decoration was so minimal because I was just too tired and heavy (note: lazy) to decorate and because of the limited space we have at our condo. We do have some balloons (what's a party without balloons, right?). As for the foods, we ordered Nasi Ambeng from a dear friend, Murni Suranti. 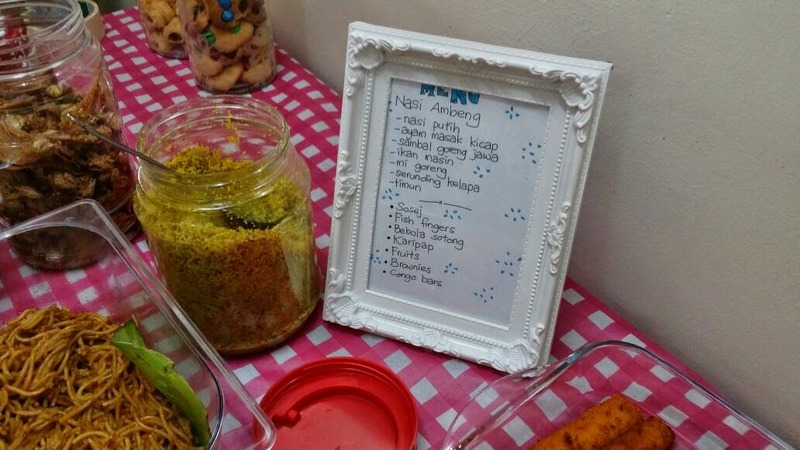 The party was held at 3pm onwards so we thought Nasi Ambeng would be just nice. The cake was also ordered from Murni so I saved on the delivery cost. Hehe. It was a vanilla cake with buttercream frosting. 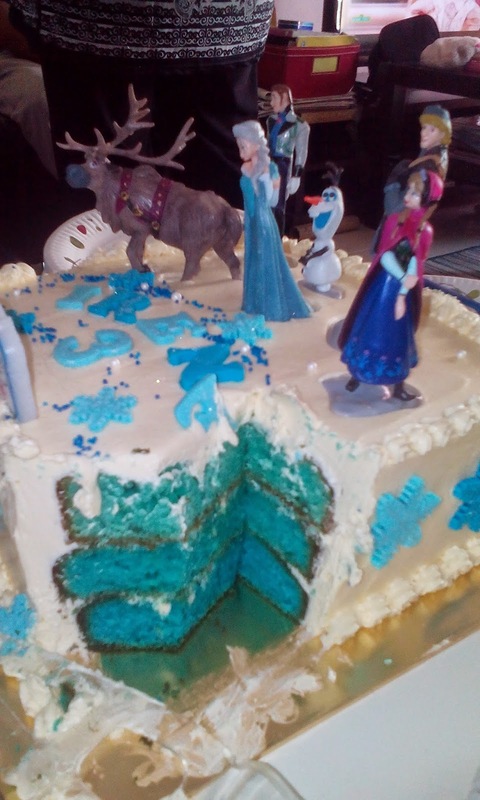 I ordered a set of Frozen figurines online and I told Murni how I wanted the cake to be. Just before the cake-cutting ceremony, I arranged the figurines on the cake. It is simple but at the end of the day, Babycakes get to keep the figurines, thus avoiding wastage if I were to have them in fondant. Apart from Babycakes' birthday, we also sort of decided to reveal the gender of Babypie on the same day. All along families were kept in the dark so what better way to reveal the gender if not by the colour of the cake? I asked Murni to bake a blue ombre cake so when I cut the cake, the colour of the cake revealed Babypie's gender. It was not as ombre as I would like it to be and I pointed it out to Murni for her better improvement in the future. By now you would have known that Babypie is a boy but when we cut the cake, everybody was delighted. We bought two of those foil balloons, also from KWC but one burst when Hubby inflated it a bit too much so what I did was we cut the balloon and pasted the foil onto the wall for decoration. Can you see how happy Babycakes was? 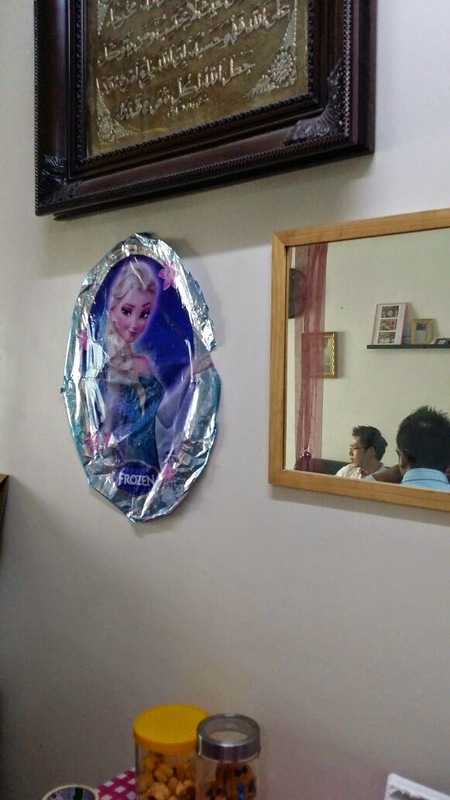 The other half of the balloon is Anna, which is on the other side of the mirror. All in all, it was a fun-filled evening for us. Babycakes was so happy to see her cousins and even happier to see the cake. It was a simple and intimate birthday celebration. It's amazing to see how big my baby has grown and how she surprises me every day with new antics, new skills, tons of questions and non-stop talking. 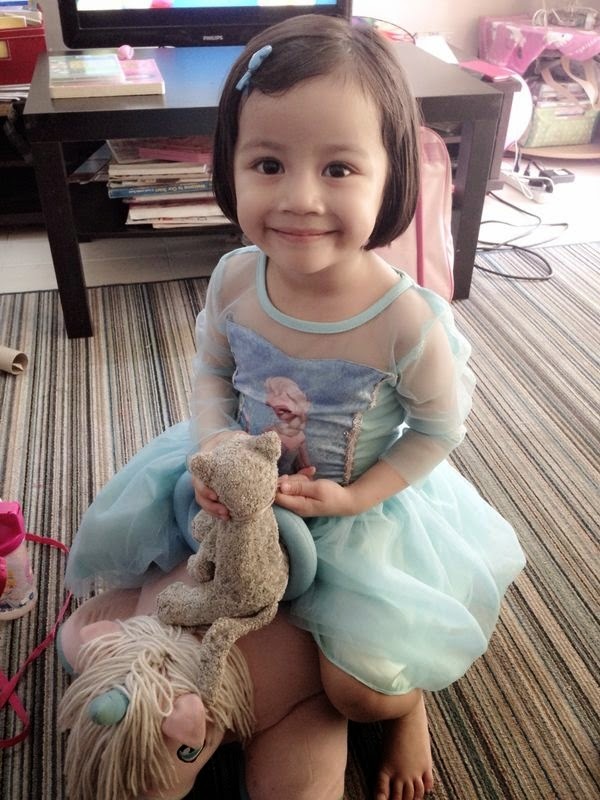 She is also very doting towards Babypie, alhamdulillah. She loves and knows how to entertain Babypie, she loves to make Babypie laugh, she can fetch Babypie's diaper from the other room, she would help us throw the soiled diaper, she would send her bowl, cup or plate to the kitchen sink. There are just too many things about her that I can't put everything in here but she is one amazing, strong and intelligent girl Masyaallah. 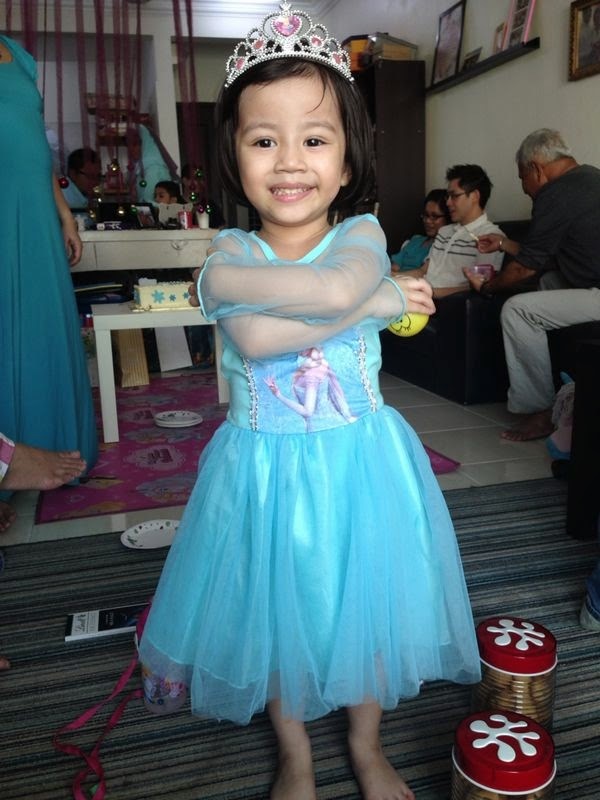 Of course above all those, she is also just like any other 3-year olds who has her own mind, who throws tantrums, who answers back, who totally ignores our instructions, who whines and cries, who drives us up the wall, among others. Mummy may always be the bad cop and nags and scolds you a lot (when you're naughty, which is almost all the time!) but you have no idea how much Mummy loves you and how amazed Mummy is with your achievement. You are a priceless gift from Allah and Mummy prays that you will be blessed, protected from harm, diseases, may you be a good and loving person inside and out and may you grow up to be a beautiful person and make Mummy proud. 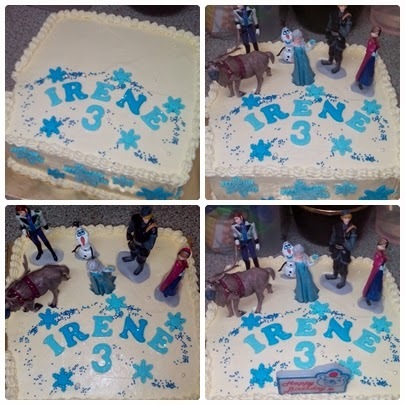 Babycakes' Frozen Themed Advanced Birthday Party is looking outstanding. I truly loved the idea. We have also been making plans for our daughter’s princess themed birthday party but will prefer booking one of the prettiest event venues for the day. Hopefully will find an affordable location.